Three years ago, Hashimoto Shun, a gay novelist in the making, met Chibana Mio, a very quiet high school student, in Okinawa. Mio had lost both of his two parents and was often seen sitting on a bench until very late, watching the sea, near Shun's house. 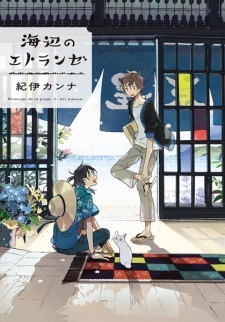 They slowly grew closer to one another, but Mio suddenly had to leave the island, to pursue his studies...Three years later, Mio returns to Okinawa: "I've been thinking a lot these last three years...Even if he's a man too, I love Shun." Will these two finally be able to take a step forward together?